If you have ever felt unsure of pursuing the life of a female engineer, or you feel lonely being the minority in a (rather) male-dominated professional field, this is a post for you. Whether a girl dreaming of being an engineer, a student working on a degree in engineering, or already a woman engineer, at some point in life there are serious challenges and struggles. 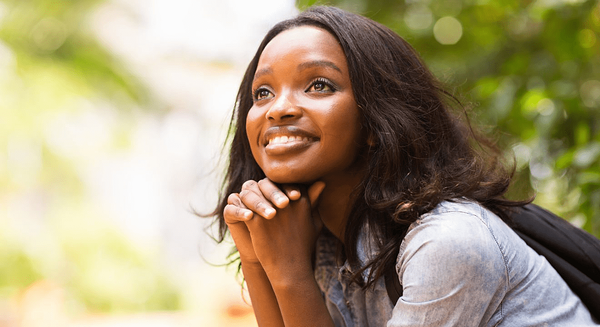 To help you on your journey, we’ve compiled a comprehensive list of resources for girls with a passion for engineering, with the aim of helping you through some of the challenges and doubts you may have along this fantastic journey. Who decides that boys can build trucks with lego and girls have to play with dolls? 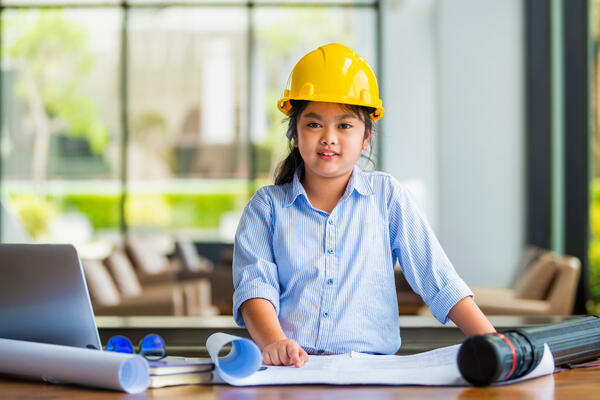 Young girls should be provided the same opportunity to build and construct and to be exposed to female engineer role models. Here we have gathered great resources for encouraging and engaging young girls in engineering. 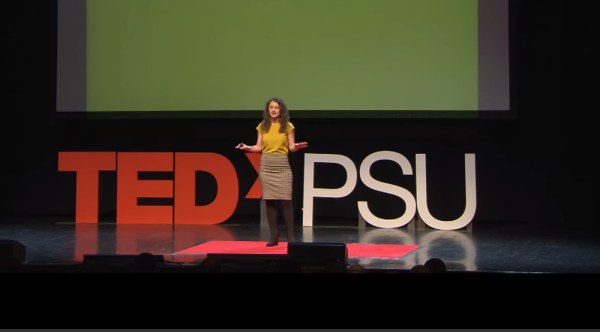 In this inspiring Ted Talk, Debbie Sterling, engineer and founder of GoldieBlox, shared her journey of becoming a female engineer despite all the challenges she was faced with. 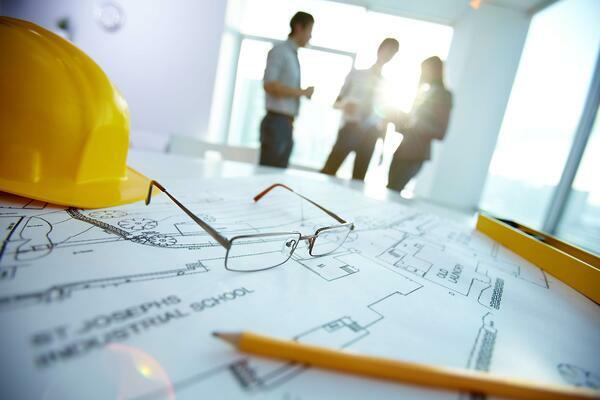 Men are perceived to have better spatial skills than women, which is a key skill in engineering. But Debbie discovered that spatial skills are something that can be developed through practice, and boys have traditionally developed such skills since they were kids building stuff with lego. However, girls are often led through a stereotypical pink aisle in the toy store, filled with dolls and makeup kits. What if girls get to play with engineering toys for girls that can help them develop spatial skills as well? And that’s how Debbie created GoldieBlox. 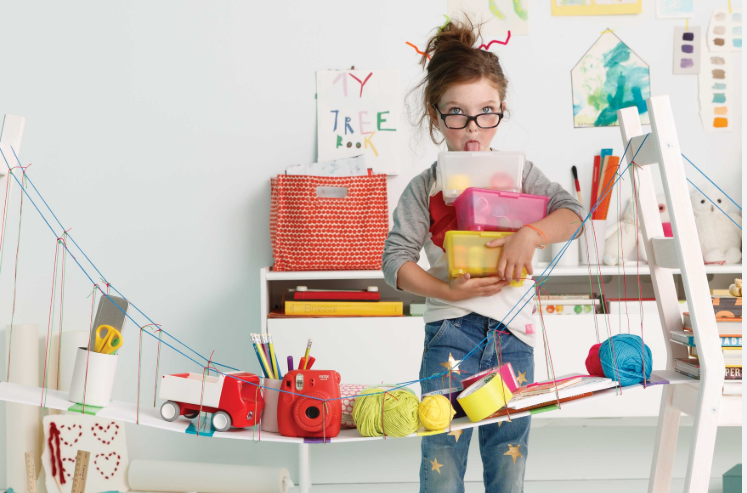 GoldieBlox is the world’s first construction toy that features a girl engineer character. Obsessed with the idea of disrupting the pink aisle, Debbie created GoldieBlox to introduce girls to the joy of engineering from a young age. Launched on Kickstarter, GoldieBlox reached its goal after only 4 days, and raised $285,881 from over 5,500 backers in total. Through the storytelling of a girl inventor who likes to build, GoldieBlox helps girls discover and develop an interest in engineering, just like Lego does for boys. 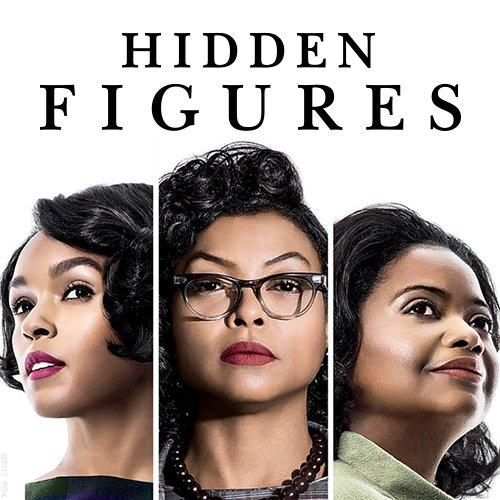 Hidden Figures tells a story of 3 female African-American mathematicians working vital roles in NASA back in the 60s. As US was competing with Russia to send the first human into space, these 3 female mathematicians served as the main brain power behind this largest operation in the US history. With great intelligence and brilliance, these women challenged the bias against race, gender and professional stereotypes, accomplished something that never happened in human history before, and finally achieved recognition and respect in a prejudiced society. The power of this story is that it inspires us women to dream big, and fight for our own rights, whether it’s around our race, our gender, or talent and potential in STEM. A geek girl herself, the author Sam Maggs often writes about pop culture and geek culture, intersected with the perception of gender. 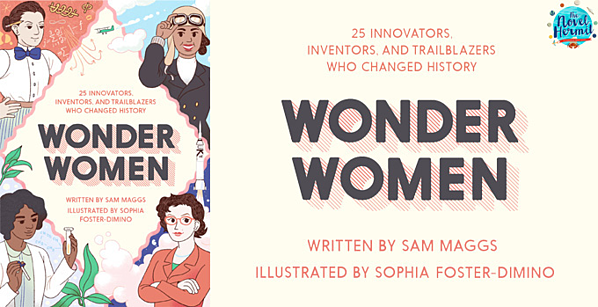 In this illustrated book, Maggs captures the amazing accomplishment of 25 wonderful women who are scientists, inventors, engineers, mathematicians, adventurers, and so on. These brilliant women in STEM have achieved amazing things even though they were faced with serious challenges and obstacles. The book also includes interviews with women in STEM from real life, and a guide to women-centric science and technology organizations. Nerd Girls produces content that inspires young girls to pursue science, technology, engineering, art, and mathematics. It is founded by Dr. Karen Panetta, a professor at Tufts University. At first, she founded Nerd Girls Club to inspire her female engineering students and fight against the stereotypes about women in engineering. This year, it’s going to launch a game-changing talk show called Nerd Girl Nation, which involves humorous hosts geeking out with guests, young and passionate women doing exciting things in STEAM fields. The show is founded by IEEE, and will be launched on 5 November 2018. The first season will invite 16 brilliant women to share their stories being nerd girls. The special thing about Girl Scouts is that it offers programmes that involves real life career skills, such as STEM, outdoors, life skills, and entrepreneurship. The STEM girl scouts programme includes 5 different journeys: engineering, computer science, space science, robotics, and mechanical engineer. These journeys encourage girls to explore STEM from a young age, in a all girl environments with lots of support from female mentors and role models. They have the opportunity to build a robot, create an app, invent a medical device, develop a video game, design a car, study the stars…. Anything they dream of, and I can guarantee that there are plenty young girls out there dreaming of building things. Created by Society of Women Engineers (SWE), Constance and Nano is a free comic book series that empowers girls to become engineers. The story follows two young girls going on engineering adventures and solving problems with science, engineering, technology and math. Two issue have been launched in this series, and you can download them for free. 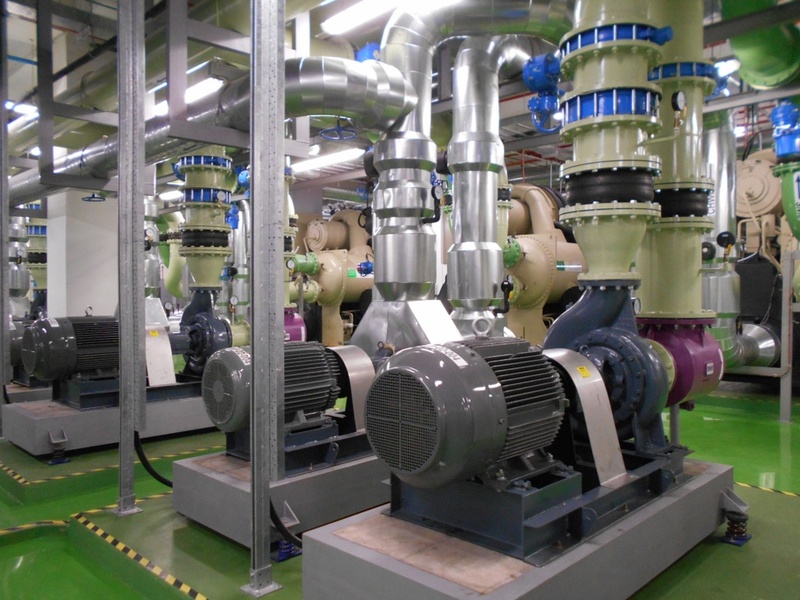 Through Constance and Nano, SWE also encourages young girls to learn about their SWENext programme, and become part of the Society of Women Engineers. Robogals has a vision of creating a global culture of inclusion and diversity in engineering. It runs free-of-charge workshops in engineering and technology within local communities, with an aim to encourage school girls to explore and cultivate an interest in engineering and technology. These workshops are run by volunteers who are university students or young professionals of all genders, with expertise ranging from engineering to law to commerce. One of the biggest impact of these workshops is that young girls get to meet female role models in the STEM field, who may inspire them to pursue a career and life in the STEM field in the future. 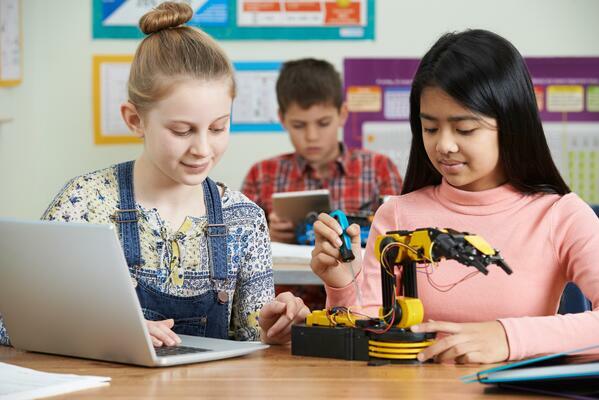 The initiative is launched by The Robotics Education and Competition (REC) Foundation together with VEX Robotics, with the mission to double the number of girls in robotics over the next five years. Girl Powered offer support and tools for teachers, coaches, event partners and mentors to organize workshops and activities that engage young girls in STEM and robotics. A successful event would have 20 to 30 attendees, and be held at a local school, library, or community centre. 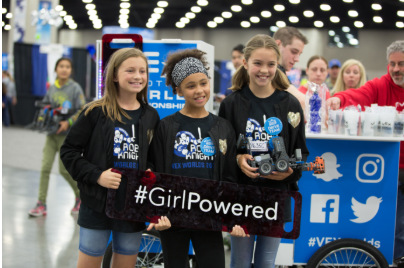 Besides workshops and events, Girl Powered also offers grant to teachers and mentors who lead a VEX team with over 50% of female participants. 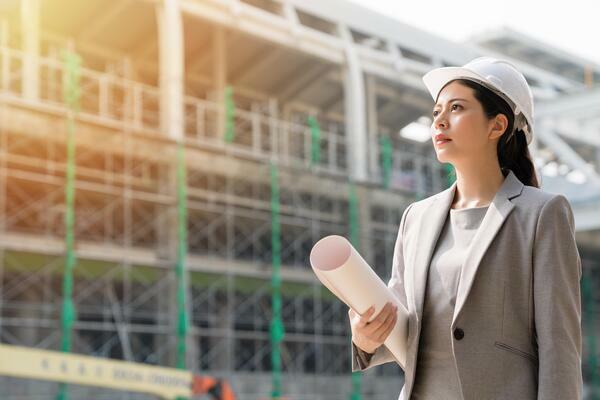 Getting an education is the first step to a future successful career in engineering, and being in a female-friendly environment is so important to the success of a female student in the STEM major. Not to speak of avoiding a female-unfriendly one. To help guide the search, we’ve put together the top resources on US colleges for girls pursuing a degree in STEM. As this is constantly evolving, we’d love your help in keeping this updated, so if you know of a great resource we have missed, please let us know in the comments! This list is created by College Raptor, and it qualifies colleges as hidden gems for women who want to study STEM majors based on 4 criteria: receive less than 5,000 applications each year, or less than 40 percent of applications received by all schools in that state, have fewer than 7,000 undergraduate students enrolled, at least 30% of the degrees awarded are STEM degrees, highest percentage of women receiving STEM degrees. ENTITY created this list of 50 best colleges for women in STEM based on data covering four key criteria: resources and support for female students, percentage of women of STEM majors, alumni earning potential 10 years after graduation, and lack of sexual violence against women on campus. And yes, the fact that this criteria even has to be included is crazy. 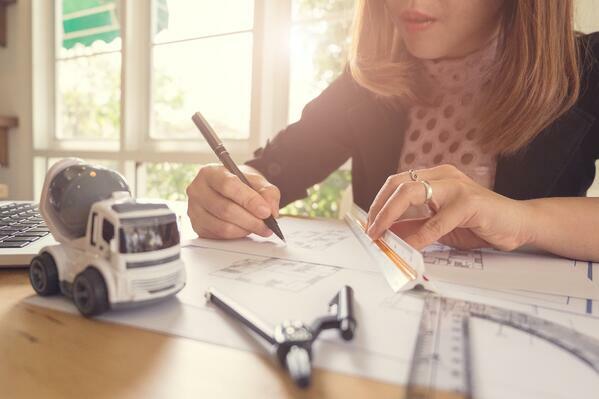 This list was created by Forbes using its 2016 Best Value colleges ranking, determining which schools are helping launch women in STEM professions. According to the data, these 13 schools have the highest rate of attendance by women in STEM majors. 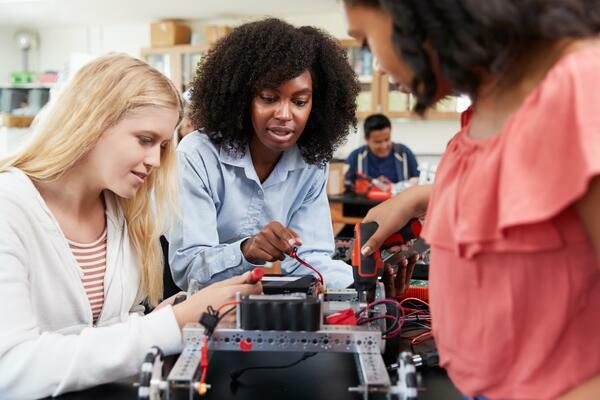 Published by Guide To Online Schools, this up-to-date resource list includes 76 online schools that have demonstrated support for female students in the STEM field, thus could be great options for girls pursuing degrees in STEM. Both annual tuition and STEM-friendly score are indicated in the list. 5 schools are highlighted with stamp from PowerToFly, indicating their dedication and initiatives to empower women to start and succeed in their STEM careers. The list also picked top 15 best online schools supporting women in STEM and provided more detailed information around them. 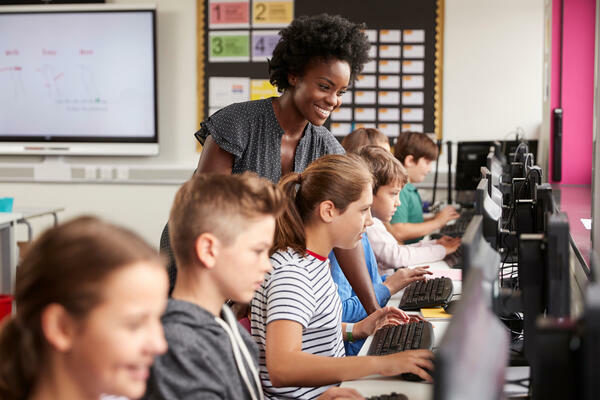 These 15 schools not only have high percentages of female STEM students and a variety of online STEM degrees, but also earned the highest possible score for their online presence supporting women in STEM fields. 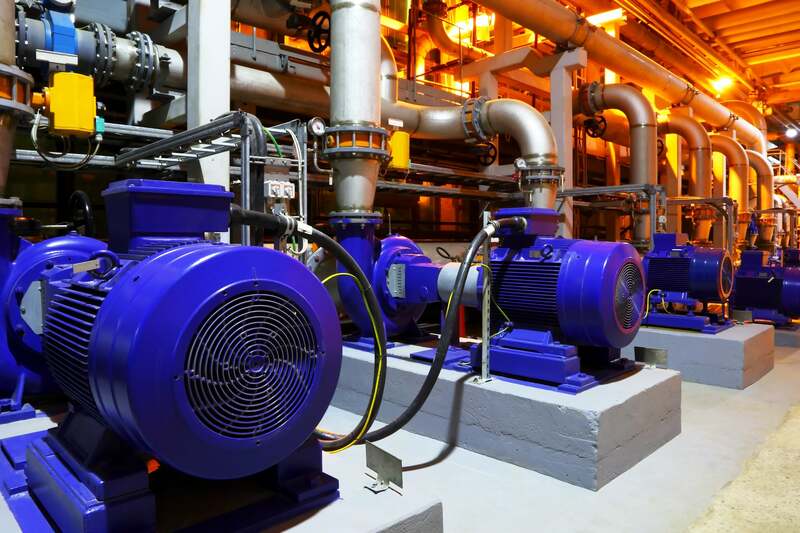 After finishing your education there is one major challenge left, finding that first job in engineering. 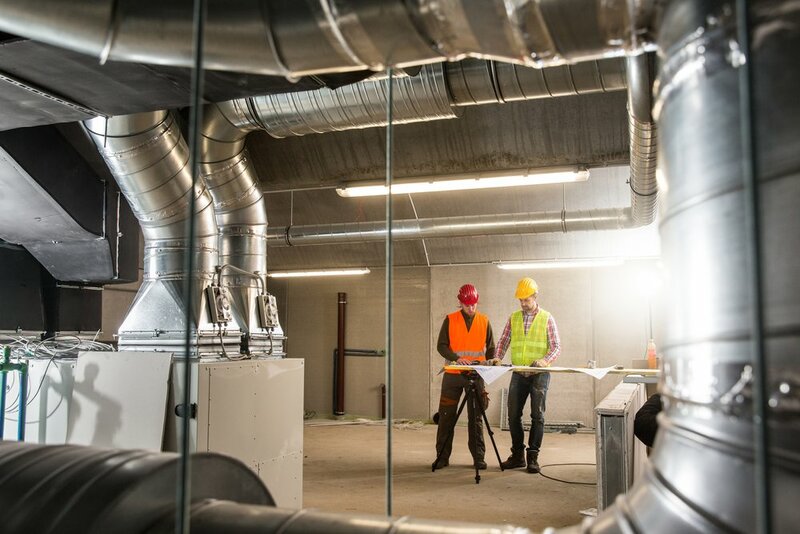 As many jobs as there are, it can still be hard to find the right one. 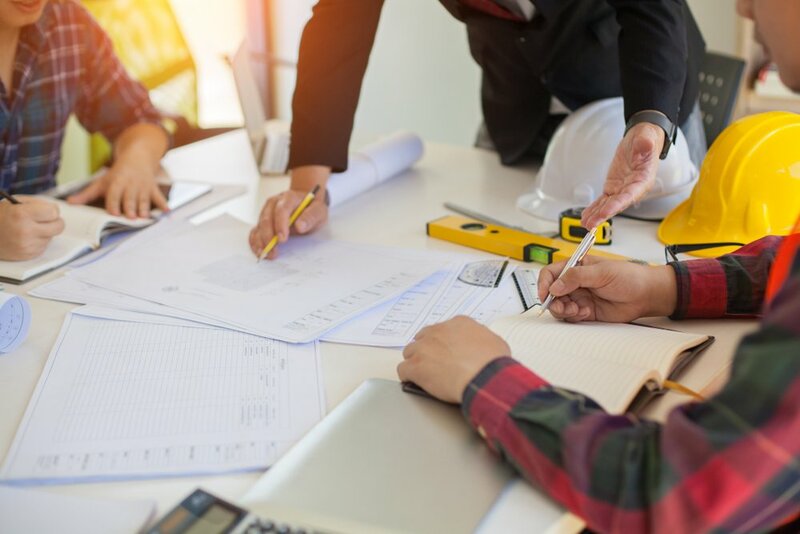 So here you’ll find websites that gather job opportunities from companies in the field of engineering, and also offers support such as resume review, and career introduction for students to find their first dream engineering job. 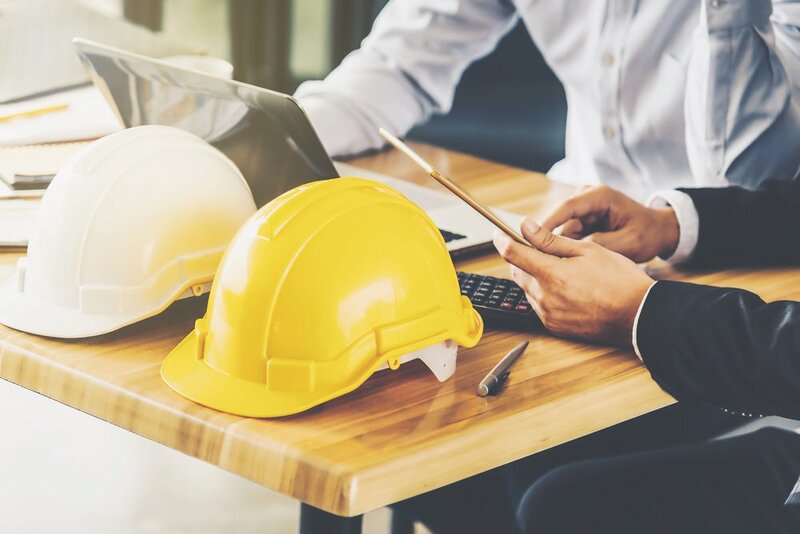 SWE Career Centre is the premier electronic recruitment resource for leading companies in the engineering and technology field. WEPAN Career Centre lists a range of job opportunities in engineering field, and also provides a free review of resume for applicants. 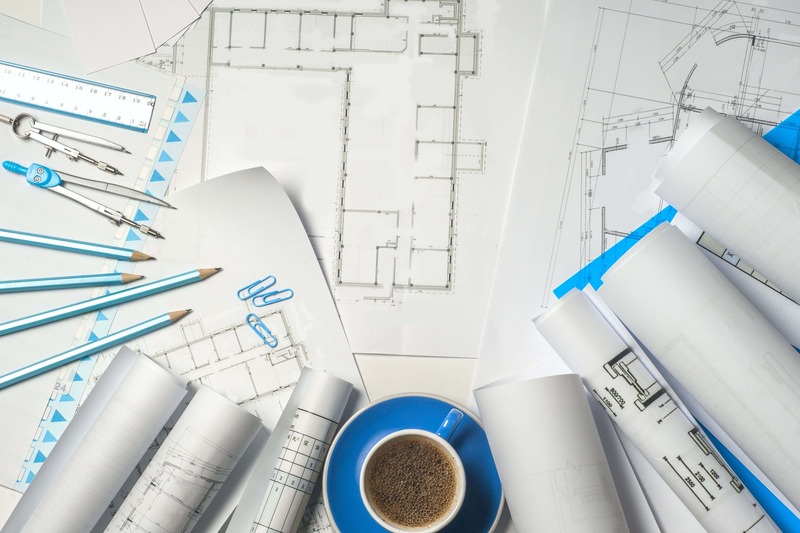 EngineerGirl lists a wide range of possible career paths within engineering, such as aerospace engineer, civil engineer, and mechanical engineer. Within each career path, there are introduction to the career, education, lifestyle, salary, and example positions. There are also profiles of members who work in this field, and Q&A sections. Relevant resources to each each field can also be found for each career path. This is a great resource for young girls who are considering pursuing a career in engineering. 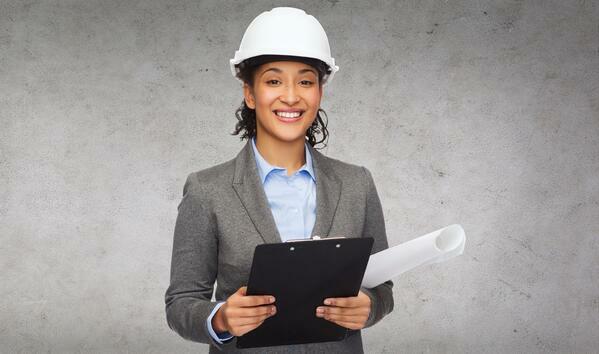 Here at NY-Engineers we operate nationwide and internationally, and I’d be remiss if I didn’t let you know that we are always looking for more great female engineers to join us. 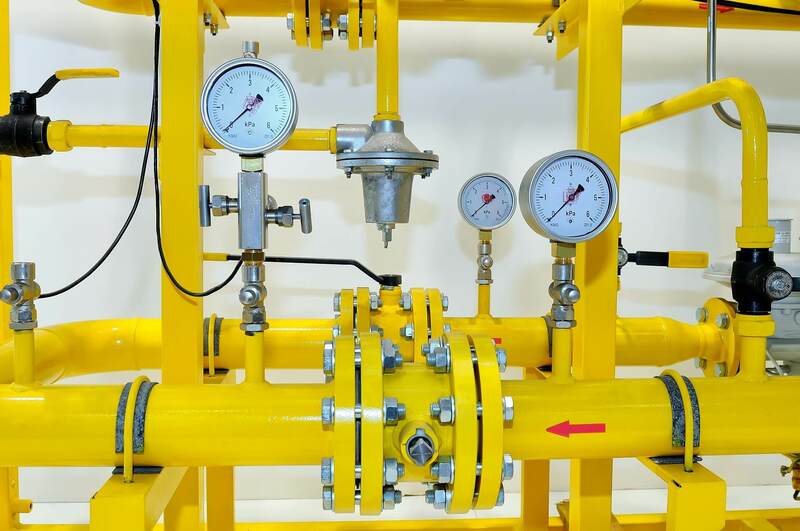 We offer great career advancement, and exciting projects within mechanical, electrical, plumbing, sprinkler, fire protection engineering services, and that’s not even the whole list. Our career centre lists all current job opportunities, and we strongly encourage all female engineers to apply, because this is a great place to work, and we’d love to have more amazing people join! There might be limited number of female engineering students in your school or at work, but there are big communities out there with tens of thousands of girls and women just like you and me. Joining these communities is an excellent way of getting that sense of belonging, build lifelong friendships, find mentors and role models, and most importantly, help us keep growing as amazing female engineers. IEEE is the world’s largest technical professional organization for the advancement of technology, and IEEE Women in Engineering is world’s leading community for women in engineering and science. 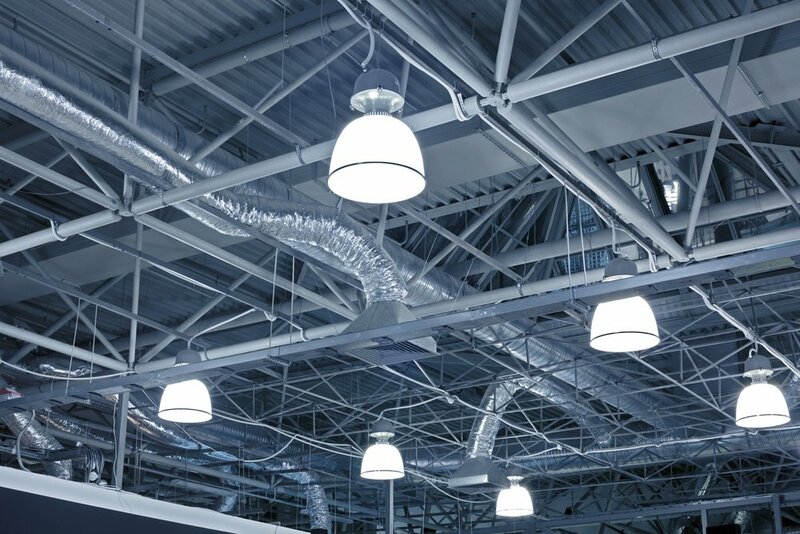 It’s vibrant network connects over 20,000 members spanning over 100 countries. To join the community, one can either become a member of the local Affinity Group, or become a volunteer. IEEE WIE has over 800 Affinity Groups around the world which host events and activities such as workshops, seminar, speeches. These Affinity Groups are also the best place to start the volunteering. 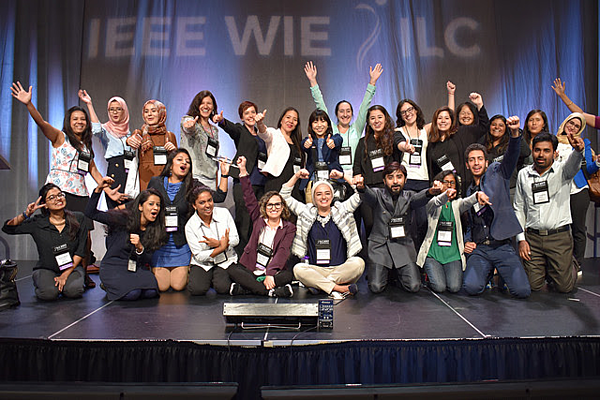 Apart from providing great resource and network, and hosting numerous events, IEEE WIE is also a community where women in engineering can develop lifelong friendship, connect with mentors, and meet role models. 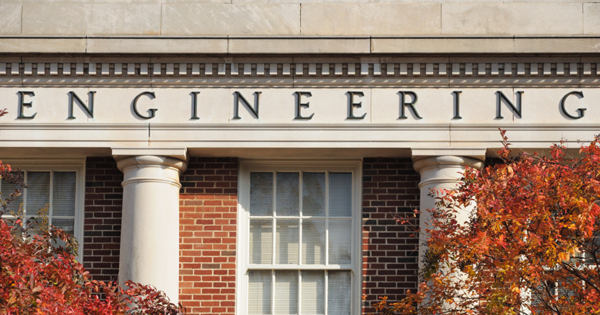 Established in 1950, The Society of Women Engineers is an international organization with nearly 30,000 members from all disciplines of engineering and technology. It is created to empower women to achieve full potential in careers as engineers, and ensure gender parity and equality in engineering and technology. SWE is an encompassing community that provides members with learning materials, research resources, career opportunities, scholarships, grants, events, and awards. It also has a dedicated K-12 Outreach programme designed to empower young girls with a pursuit in engineering. SWE also organizes world’s largest conference for women engineers WE18, with a theme of Let’s Break Boundaries. 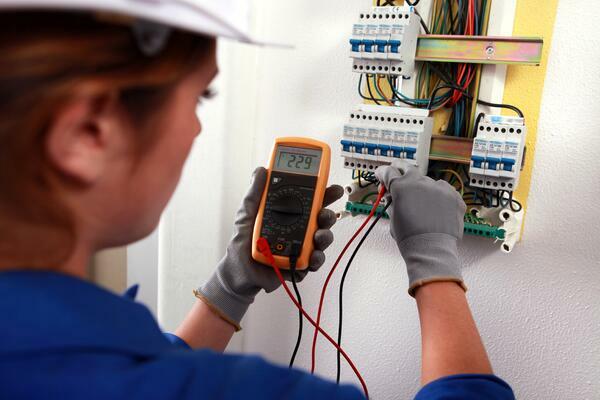 The conference boasts of the largest gathering of female engineers across all major disciplines. This year, WE18 is held on 18-20 October in Minneapolis. 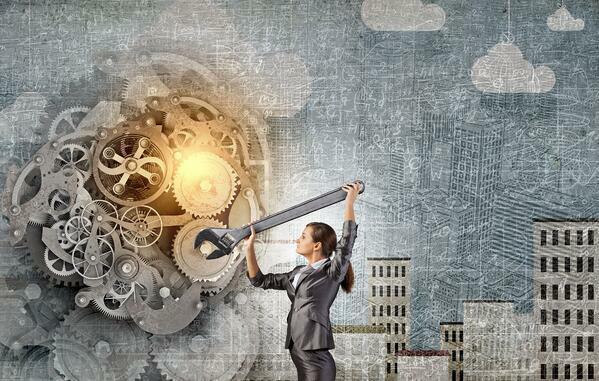 Women in Engineering ProActive Network is a non-profit educational organization in North America founded in 1990, with an aim to enhance the success of women in engineering. 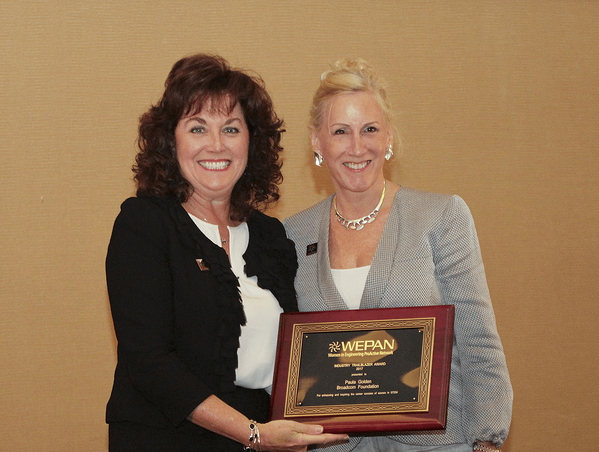 WEPAN has a network of over 900 member, including leaders, advocates and supporters from 200 universities, colleges, community colleges, government agencies, Fortune 500 companies, small businesses and non-profit organizations. As a member of WEPAN, you can enjoy access to learning resources, career opportunities, and a network of industry experts and leaders. Created by National Academy of Engineering (NAE), EngineerGirl is a website designed to bring national attention to exciting opportunities in engineering for girls and women. In 2001, NAE gathered a groups of bright, energetic girls from the US and Canada, and created Girls Advisory Board. 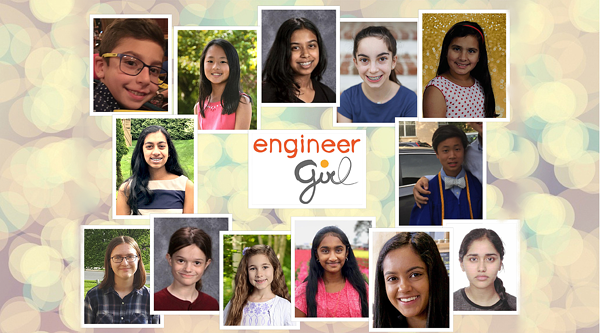 With input from Girls Advisory Board, EngineerGirl was launched. The website serves as a great resource for girls in stem. It gathers information such as scholarships for women in stem, career advice, stories of other female engineers, history of women in engineering, etc. It also organizes competition and contests, and opportunities for young girls to ask question of adult female engineers. Research shows that lack of female mentors and role models is one of the major reasons why there are so few women working in STEM. Finding a mentor who will support and advice you when you have doubts and struggles in school or at work is a great way to overcome the challenges. Keep in mind that you are not alone, there are others out there who have gone through what you are facing, and survived to tell the tales. So here we’ve gathered several platforms that make it easy for you to find a matching mentor. It is easy, so I encourage you to take the step today, because the right mentor can be a huge game-changer! MentorNet is a platform that aims to provide all STEM students in the US with access to effective mentorships in a vibrant community committed to student success. The platform can strategically match STEM students and professionals in compatible mentoring relationships. Any STEM students attending accredited US universities from freshman to Ph.D. can become a mentee, and any professionals with an associate’s degree in a STEM field can become a mentor. 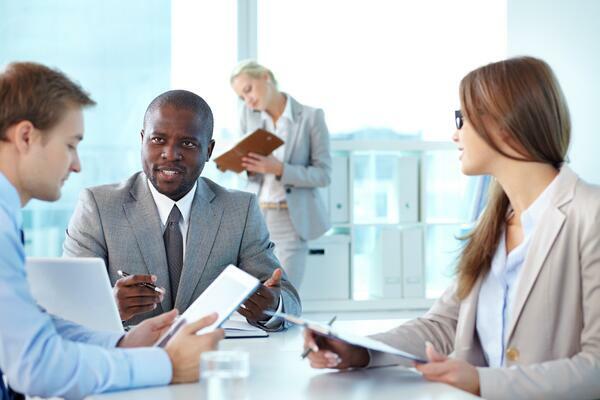 Mentors and mentees usually spend 15-20 minutes each week in communication. Mentor and mentee relationship lasts 4 months by default, and after 4 months, mentee can apply to renew the relationship, or request a new mentor. MentorNet is proud of mentees on the platform having 2 times the chance of graduation from college and entering a STEM career. 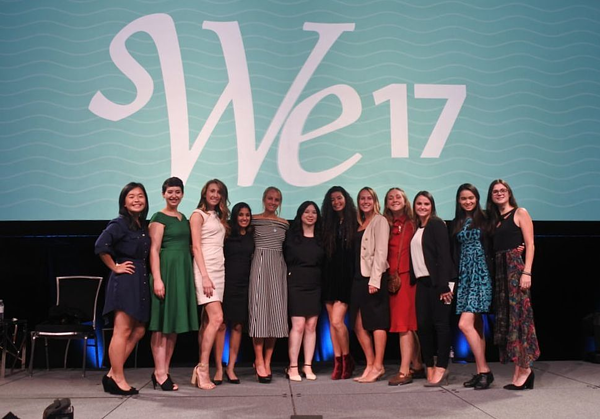 Women in STEM Mentorship Program is an independent program developed by Anna-Katrina Shedletsky, a former product design engineer at Apple. She was concerned about how few female engineers there were at Apple, and started this program to both learn about the experiences of female STEM students in the job market, and assist them to find internships, excel at interviews, and get many great job offers. At first, the programs was sponsored by Apple with mentors, and partnered with Stanford University Society of Women Engineers. After three successful years, Anna left Apple, and started to run the program independently. Now the program partners has scaled from Stanford, to UC Berkeley and San Jose State University, and the mentor team has also expanded from Apple employees to more diverse professional in the STEM field. Founded in 2014, Million Women Mentors helps companies and corporations across the nation connect with local girl-serving mentee organizations to provide face-to-face and online mentoring opportunities for their employees. Million Women Mentors has a goal of engaging 3 million mentors in the STEM field to increase the interest and confidence of girls and women to persist and succeed in STEM degrees and careers by 2020. By joining MWM, Individuals, organizations and companies are committed to mentor a girl or woman in STEM for 20 hours a year for one to four years. So far, MWM has already reached over 2 millions mentors and completed over 1 million mentorings. Historically, the vast majority awards within the field of STEM has been given to men, and this needs to change. We deserve fair recognition and honor for the achievements and contributions we make. We perceive the first step to improving this is spreading the information on what opportunities there are out there, so here we’ve gathered a wide range of awards designed to celebrate the accomplishment of women in STEM. The IEEE WIE Awards Program is designed to recognize IEEE WIE members and Affinity Groups that have made great contribution to the community, through their commitment and engagement in projects and activities directed towards fulfilling IEEE WIE goals and objectives. There are four awards each year: IEEE Women in Engineering Inspiring Member of the Year Award; IEEE Women in Engineering Inspiring Student Member of the Year Award ; IEEE Women in Engineering Affinity Group of the Year Award; andIEEE Women in Engineering Student Branch Affinity Group of the Year Award. SWE designs a variety of awards to recognise the achievements of female engineers from different fields, different age group, and different cultural background. 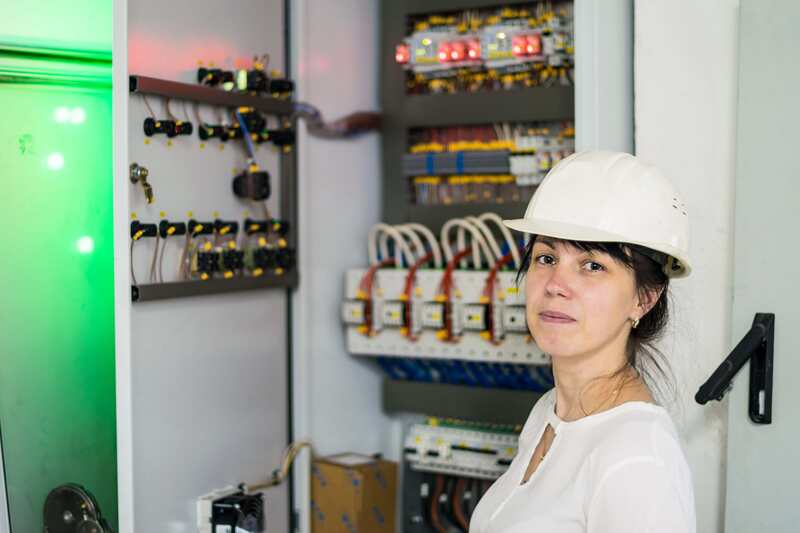 There are nearly 20 types of individual awards designed to honor the successes of SWE members and individual who enhance the engineering profession through contributions to industry, education and community. Some examples of awards are Achievement Award, Global Leadership Award, Prism Award, Work/Life Integration Awards, etc. SWE also offers Mission and Multicultural Awards, SWENext Awards for young innovators, WE Local Awards. The RAISE Project gathers awards from all different areas of STEM and medicine. It is designed to increase the status of professional women through increased recognition of the achievements of women in the STEM&M. The website lists over 2,400 awards categorized by discipline, career level and eligibility by gender. It also analyzes the distribution of awards and awards recipients by gender and keeps data constantly up to date. 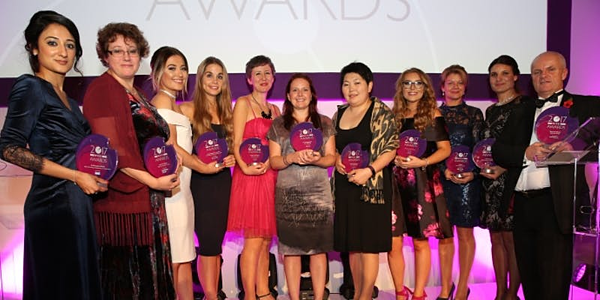 Women in Engineering ProActive Network offers a range of awards each year to honor key individuals, programs, and corporations for accomplishments that are lined with WEPAN’s mission and objectives. These awards include: Founders Award; Advocates and Allies Award; Leader in Engineering Education Award; Bevlee A. Watford Inclusive Excellence Award; Inclusive Culture and Equity Award (can be academic or corporate); Women in Engineering Initiative Award; Industry Trailblazer Award; Strategic Partner Award; and Betty Vetter Award for Research. There you have it. 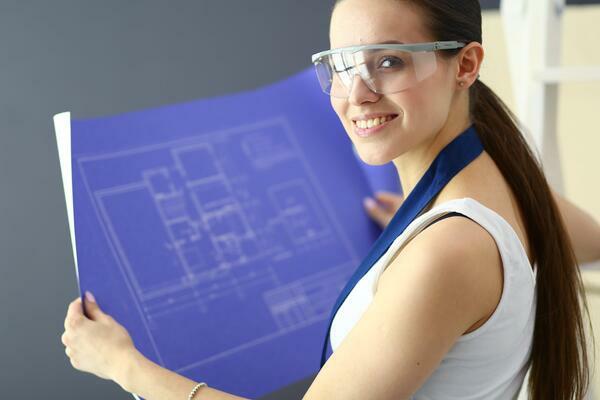 Our top selection of resources for girls and women passionate about engineering. And now I’d love to hear from you. Are there any resources or advice that you love, but you didn’t see on this list? Or maybe you have a question. Either way, let me know by commenting below now. If you liked reading this post, please share it with other female engineers and girls interested in STEM, because it might help them too!